Whether you are a certified organization or not, there is always a need to know how good your systems are and how well are they implemented within the organization. SafeFoodz Solutions can help you to assess this through our expert auditors. SafeFoodz Solutions is established by Sanjay Indani under his capable guidance. It is one of the leading organizations engaged in Consultancy & Training of various International Food Safety systems. Assisting & guiding industry (FBO's) for compliance to Indian Legal requirements i.e. Food Safety & Standards Act (FSSA 2006, Rules & Regulations 2011) is one of the core activities. It is associated with many food manufacturers to assist right from GAP Assessment for Good Manufacturing Practices / Good Hygiene Practices requirements till complete hand holding leading to Food Safety Certifications. 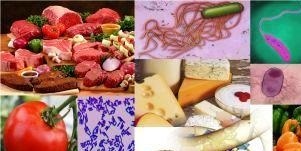 The Organization has experienced Food Safety Experts, Food Safety Trainers and Food Technologists & Microbiologists in the team to assist industry to ensure food safety throughout the food chain.SafeFoodz Solutions could be your ideal partner in your efforts to manage Food Safety within your Organization. We offer a wide range of services in the area of Food Safety. Managing Food Safety throughout the food supply chain is a major concern for all organizations engaged in the food business. As the consumer needs and consumer demands for safe food increases, organizations in the food chain from farm to fork will need to prepare themselves by implementing Food Safety Management Systems. The implementation of Food Safety and Standards Act of 2006 & Rules & Regulations 2011 got a major impact on all the Food Business Operators including processed food industry, storage & warehouses and food retailers.